With their intrinsic ability for unconventional and lateral thinking, dynamism and idealism, young people represent not just the future of nations but also the possibilities of game-changing innovations in life. The core strength of BRICS is its unique and diverse young population that is complemented by the surging scientific and technological prowess in the world. Recognizing this huge opportunities before the youth, BRICS leaders at the Seventh BRICS Summit in Ufa, Russia (2015) endorsed India's proposal to create the BRICS Young Scientist Forum with India as the coordinating country. In line with this agreement, India will be hosting the BRICS Young Scientist Conclave in September 2016, as an integral part of the BRICS Young Scientist Forum initiative. The initiative has been approved by the Second BRICS Science, Technology and Innovation Ministerial Meeting at Brasilia in March 18, 2015 on the principles of co-ownership and co-investment by the BRICS countries. The BRICS Young Scientist Conclave 2016 will be hosted by the Department of Science & Technology (DST) of the Government of India. The DST supports a wide range of activities – from promoting high-end research and development to meeting the technological requirements of people through the development of appropriate skills and technologies and leveraging International Science & Technology partnerships. This Conclave aims to bring together some of the brightest young minds from the BRICS countries on a single platform, allowing intense scientific exploration, technological innovations and avenues for transformative changes to the most pressing problems of the society. The Conclave will be a platform to harness solutions/ideas on country-specific problems and common challenges faced by BRICS nations. The BRICS Young Innovation Prize for Innovative Ideas will enable participants to develop unique, path-breaking designs on Computational Intelligence, Energy Solutions and Affordable Healthcare. Thus, the Conclave hopes to forge a ‘BRICS Scientific Identity’ through the establishment of a Pan BRICS network of young talents. This Forum will pave the way for creation of a strong future generation of BRICS S&T leadership that can accelerate change. Ten scientists, techno-entrepreneurs and researchers from each BRIC nations between 22 to 35 years will form a part of the Conclave. Besides bringing these participants in the leading role at the Conclave, the Conclave will also provide them with abundant opportunities to interact with trail-blazers, leaders and pioneers of S&T through workshops, interactive sessions and lectures. The conclave would take place in Bengaluru, at one of the most prestigious, multidisciplinary research institute, The National Institute of Advanced Studies (NIAS). NIAS has developed a niche through rigorous research in the field of natural sciences and technology, social sciences and humanities to address some of the grave problems in our society today. 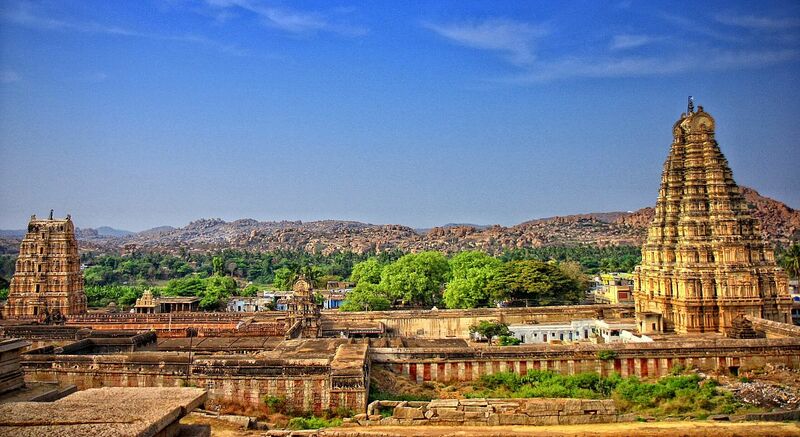 As a unique recognition of the historical and social practice of science, the participants will be taken on an expedition to Hampi, a UNESCO World Heritage site, which stands as an archetype of the best contributions of Indian scientific, philosophical and cultural traditions. Applications for Conclave: Closed. (Last date 20 July 2016). Selected participants will be informed over email.